A coveted Commissioner’s Elk Tag sold for $240,000 at the recent Arizona Mule Deer Organization banquet. 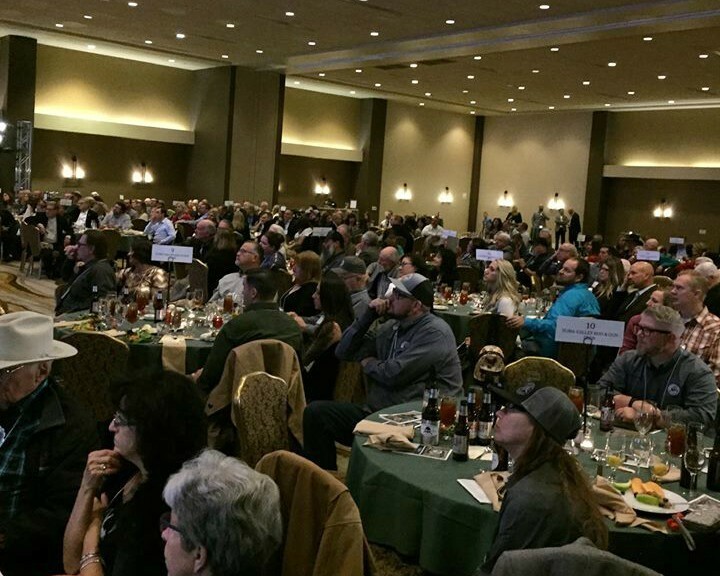 Region 6 of the Arizona Mule Deer Organization (AMDO) saw a great deal of success at its fundraising banquet held in Phoenix on Feb. 9, 2019, seeing a coveted Commissioners’ Elk Tag sell for $240,000 during the event’s live auction. Bidders were calling in from across the nation, and group organizers believe the high selling price was due at least in part to the wet weather and snow pack experienced in Arizona this off-season. Moisture is a significant contributor to antler growth in elk. The Arizona Game and Fish Commission awards Special Big Game License Tags, sometimes called Commissioners’ tags, to selected 501(c)(3) wildlife conservation organizations to raise funds for wildlife. Commissioners’ tags are good for any unit, and the tag holder is able to hunt what is essentially a 365-day season. Prior to the banquet, AMDO Field Director Terry Herndon had hoped that the tag would sell for at least $200,000, so this sale in particular was a deemed a complete success. Administrative and marketing costs must be covered by the wildlife conservation organization. The Organization continued to raise money that night for their conservation projects through live and silent auctions, raffles and other games. Obviously, not everyone in attendance at the AMDO banquet was bidding on the coveted Commissioners’ Elk Tag, but the live auction certainly draws everyone’s attention. For more information, visit the Arizona Mule Deer Organization website at www.azmuledeer.org.